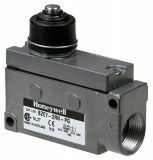 Founded in 1885, HONEYWELL is a leading manufacturer and supplier of automation and control devices, proximity sensors and limit switches. The company's products are designed and manufactured with extreme precision and are widely used in various fields such as aircraft industry, medical equipment, petroleum and oil industry, home and industrial appliances. With more than 127,000 employees worldwide, including more than 22,000 engineers and scientists, HONEYWELL is premium quality manufacturer and is achieving results in everything they do. The company is recognized as a global leader in a variety of institutions and charts such as: TOP 100 global innovators, Finantial Times, Fortune, Institutional Investor and many others. VIKIWAT Ltd. is the biggest Bulgarian wholesaler and retailer of electronic components and electrical materials and offer to its customers a wide range of automation tools from HONEYWELL, as well as from many others leading companies. In our offline and online stores, you can easily find and buy roller lever limit switches, pusher limit switches, non-shielded proximity switches, microswitches with a lever, metal light sensitive sensors, shielded proximity switches and other products at affordable prices with quick delivery. Limit Switch BAF1-2RN RH, SPDT-NO+NC, 20A/250VAC, plunger Limit Switch model BAF1-2RN RH with contact system SPDT - 1 NO + 1 NC, rated current 20 A, rated voltage 250 VAC and side plunger type actuator. Limit Switch 90IVBI-PG, SPDT-NO+NC, 10A/250VAC, plunger Limit Switch model 90IVBI-PG with contact system SPDT - 1 NO + 1 NC, rated current 10 A, rated voltage 250 VAC and plunger type actuator. Limit switch , BZE7-2RN-PG, SPDT-NO+NC, 15A/380VAC, pusher End switch BZE7-2RN-PG with nominal voltage 380 VAC, rated current 15 A, contact system SPDT - NO + NC, control element pin 24 mm long. Proximity Switch FL1-2A6, 10-40VDC, NPN, NC, M12x60mm, range 2mm, shielded Proximity Inductive Switch model FL1-2A6 with operating voltage 10 - 40 VDC, NPN output, 1 NC contact, Ф12x60 mm, shielded with range 2 mm and LED indication. Limit road packet switch 103LD8-PG, 16PST-8NO+8NC, 10A/250VAC, 8 row Limit road packet switch 103LD8-PG, 16PST - 8xNO + 8xNC, 10 A / 250 VAC, 8 row. Microswitch with lever, SPDT, 22A / 250VAC, 27.8x10.3x15.9mm, ON- (ON), V15H22-CZ-100A03 Microswitch non-holding, with actuator size 51.5 mm and 3 x 6.3 mm connectors.